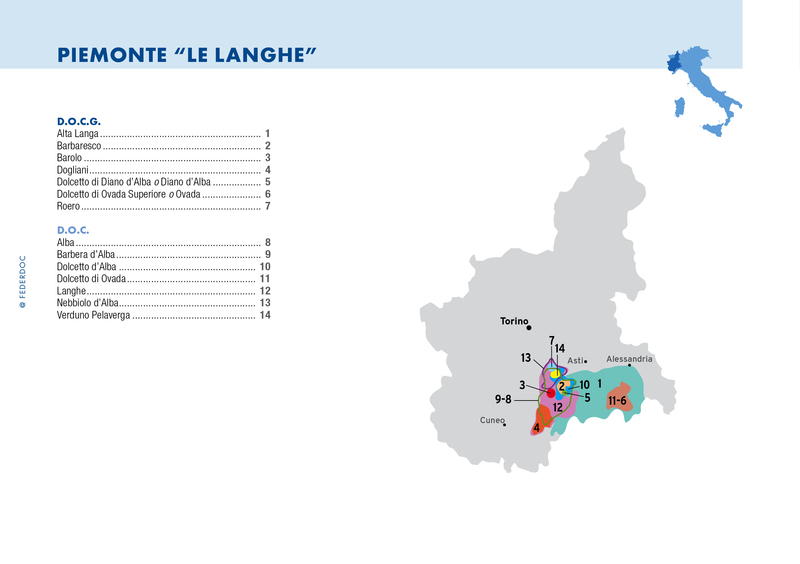 Though Piedmont accounts for only 7% of Italy’s wine production, it is celebrated for producing wines of extremely high quality. 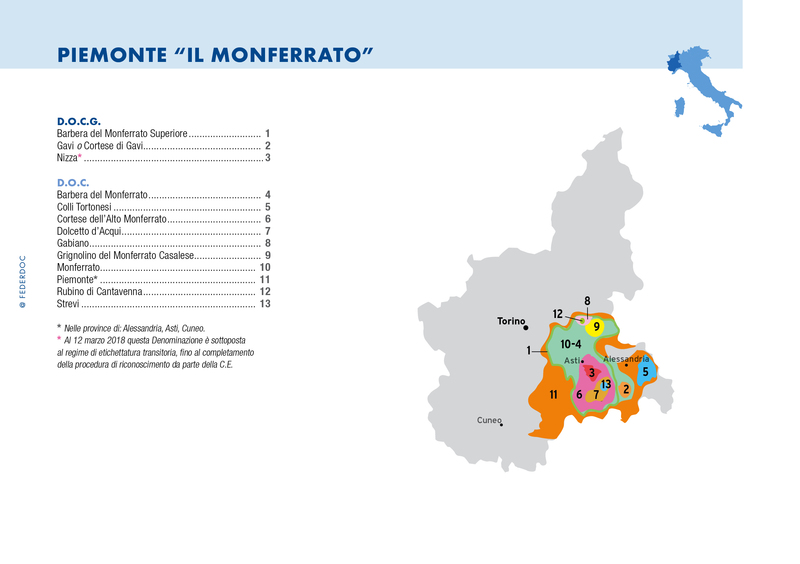 Piedmont stands proud as the region with the most DOC/DOCG zones (58) and the largest percentage of officially classified wines (86%). The region produces about 16% of Italy’s DOC/DOCG wines. The majority of its production is red wine. 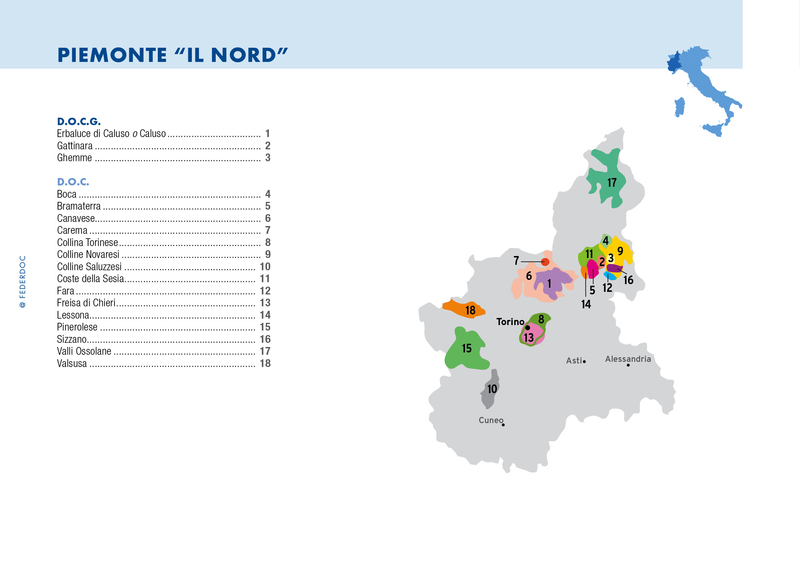 Piedmont is Italy’s northwesternmost region, sharing a border with Switzerland and France, and surrounded by the Alps to the north and west and the last peaks of the Apennine Mountains to the south.  The climate is harsh by Italian standards, with distinct changes of season. Winters are cold with plenty of snow. Summers are, for the most part, hot and dry. The region is best known for its bold reds from the Nebbiolo grape, including Barolo DOCG and Barbaresco DOCG, however Barbera ranks as the most widely planted vine for reds, followed by Dolcetto, which is enjoyed for its mellow, round flavors. Interestingly, Piedmont’s most popular wine worldwide is its white, sweet, sparkling Asti made from the Moscato grape. 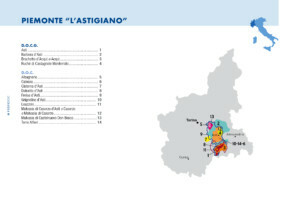 With an average annual output of nearly 80 million bottles, the Asti appellation ranks third in volume after Chianti and Montepulciano d’Abruzzo among Italy’s classified wines. 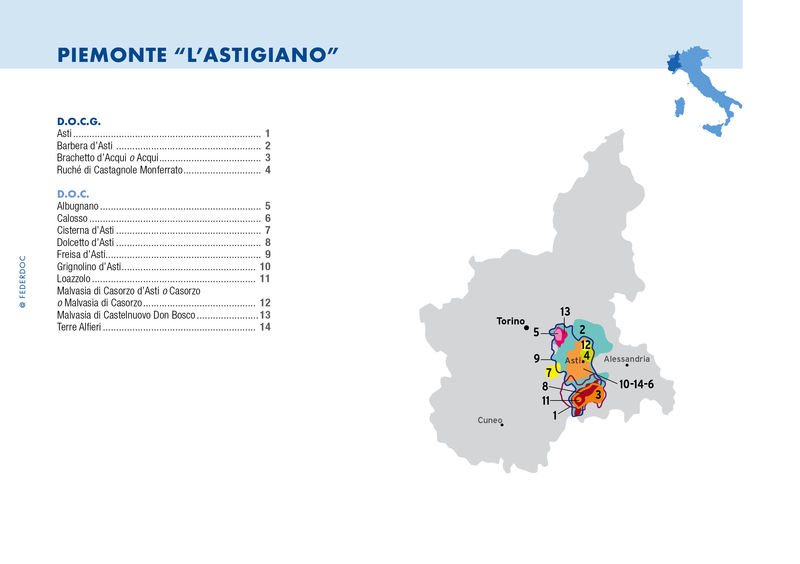 Piedmont also produces excellent still whites, such as Gavi (from the Cortese grape) and Arneis.